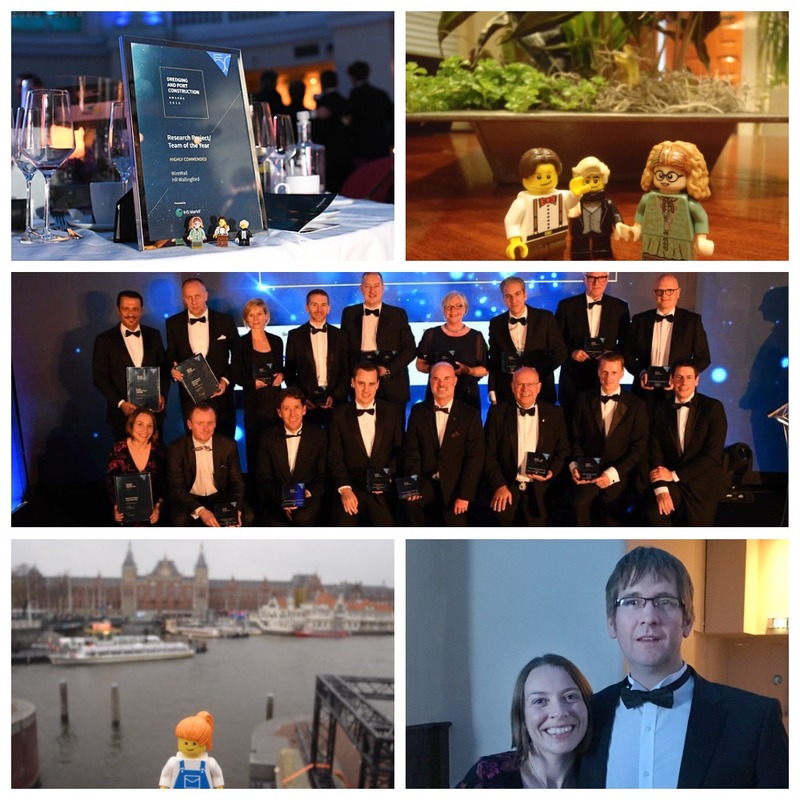 The WireWall project team were in Amsterdam in their posh frocks and dickie bows last week for the Dredging and Port Construction Awards 2018, where they were shortlisted for ‘Research Project / Team of the Year’ and ‘Environmental Port Project of the Year’ for the wave overtopping and coastal hazard monitoring system. The team received a special commendation for the ‘Research Project / Team of the Year’ category, which is no small feat when you consider that they were up against the might of the US Army Corps of Engineering. WireWall is an innovative and cost-effective system to help optimise sea defence design and early warning processes, reducing construction costs and ultimately protecting coastal communities. The project – led by the National Oceanography Centre’s Dr Jenny Brown – is being delivered as a partnership between the NOC and HR Wallingford. You can get all the latest updates from the team on Twitter by following @WireWall_NOC.